Amenities play a major role while choosing a property. In real estate, amenities are features such as location, outlook or access to a park, lake, highway, view, fitness center, which enhance the desirability of real estate and which contribute to the pleasure and enjoyment of the occupants. There is a strong connection between the quality of social infrastructure and the well being of the new residents of any project. Escalating stress levels involved in the professional life along with the inconvenience of travelling, have led to the need for amenities in residential projects and thus the feeling that a home should be more than just a place to arrive after work, a personal environment where you can do what you want and enjoy it in the best possible way. Gym memberships can be expensive. If you love working out, but hate spending the money on a gym, a fitness center in your apartment building can be a perfect solution. 76% of consumers aged 18-29 are more likely to be doing gym-type activities including fitness classes, indoor group training, yoga, pilates, etc. Gone are the days of small rooms with two treadmills and a bike machine. Today’s renters want to have more studio like fitness areas to align with their fitness interests. While renters previously viewed an on-site fitness center as an additional amenity that they’d probably not use, many now view it as a necessity. Fitness centers are a great way to attract tenants to your apartment complex, but it shouldn’t be something that you put in just for the sake of having. Providing tenants with a fully equipped, state-of-the-art fitness center will definitely make their pros list when they begin to weigh their options between apartment complexes. When choosing fitness equipment, match your budget with your personal preferences and your needs. You might be tempted to spend less on residential equipment, but that might come back to bite you if you’re running a gym and want to have equipment that lasts a long time. Knowing the differences between residential and commercial gym equipment can help you save lots of money, time and energy down the road. Commercial fitness equipment is designed for a commercial fitness setting, like a gym, personal training studio or recreation center. The manufacturers know many people will be using the equipment, and it needs to stand up to the wear and tear. Generally, manufacturers make commercial gym equipment with sturdiness and quality in mind. The sturdiness of commercial gym equipment is one of its major benefits. Manufacturers such as Life Fitness, Precor, Cybex, Technogym, Matrix, etc. built these machines to last, and you can feel confident they will withstand heavy usage in line with its intended purpose. Commercial gym equipment tends to be on the forefront of fitness technology — like treadmills and ellipticals with personal TVs, MP3 docks and USB ports. They’re not very necessary, but they can pique the interest of potential members. With commercial gym equipment, you can also purchase a variety of equipment in variable configurations that meet the needs of your facility and your members. For example, if you have a smaller fitness facility, you could purchase a multi-gym and cable crossover which offer multiple workouts in compact form. When buying commercial gym equipment, you generally have to call a sales consultant from the company, and he/she will provide you with a quote for the equipment. Most commercial equipment has to be built after it’s purchased, so once you’ve accepted the bid, you can expect to wait anywhere from 6 to 12 weeks to receive the equipment. 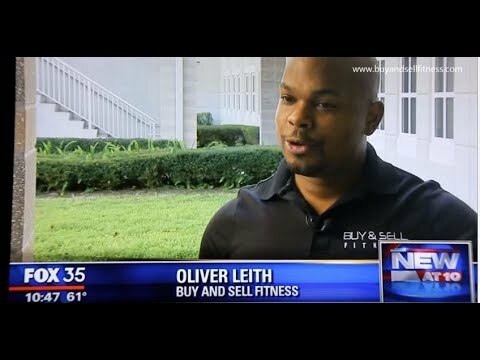 Buy & Sell Fitness also offers gym equipment repair in the Orlando area. However, with Buy And Sell Fitness, you can also purchase fully remanufactured commercial gym equipment, save lots of money and get machines delivered to your gym much quicker! These machines will be completely rebuilt to a brand new condition and will LOOK and WORK EXCELLENT! We are also a distributor for New Life Fitness Equipment! 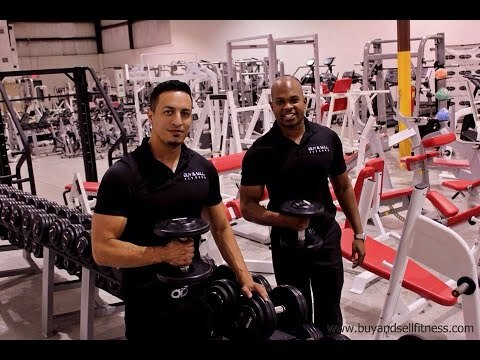 For more information and pricing, visit www.buyandsellfitness.com, Our Showroom In Orlando, Florida or give us a call @ (800) 900-0526.